Let’s face it, being in a car accident is a horrible experience. The sudden rush of terror that flows through your veins. That last split second before impact – if you happen to see it coming. The immediate thoughts of “have I been hurt?” and “are the people with me okay?” And then you need to think about how you’re going to pay for the repairs and if you’ll be able to return to work. Being in a hit and run accident can make things even worse. If the incident takes place and the driver involved in the accident leaves the area without offering any assistance or providing their identification, you need to know how to take care of the basics. Here are some steps you can take to seek out compensation when you are involved in a hit and run auto accident, particularly in the state of Florida. What type of car was it? For instance, the color, make, model, possible year of the car, any scratches, dents, or markings. What did the person driving look like? Were there any other passengers? In what direction did they take-off? Next, it’s time to try and gather witnesses. In some cases, people will stop and offer you their information so you can contact them in the future. However, if they don’t, check to see if there is a gas station, cafe, or some other type of business nearby. Ask the patrons if they happened to see anything. If they did, take down their information and supply it to your insurance company and the police. You should also ask the owners or managers of the surrounding businesses if they might have video cameras pointing in the direction of your accident. Being involved in a hit and run accident can be quite frantic, which is why it’s important to try and keep your composure throughout the ordeal. You should call the police as they may be able to find the driver. If they cannot, you will still get a report showing that you were involved in a hit and run accident. You will need to give this to your insurer. You need to research your state and its laws when it comes to insurance and filing personal injury claims. Florida is a no-fault state and drivers are required to carry car insurance that pays PIP (Personal Injury Protection). This will cover some of the costs incurred when you are hit, specifically any lost wages or medical bills – up to $10,000 worth of damages. However, you do need to see a doctor within 14 days of the accident to receive any compensation from PIP. Does your auto policy cover uninsured motorists? With UIM (Underinsured Motorist Coverage) your insurance company treats the situation as if the other person involved did not carry auto insurance at the time of the accident. With UIM coverage, the claim against the at-fault driver must be filed within four years. It also pays for damages beyond PIP insurance. 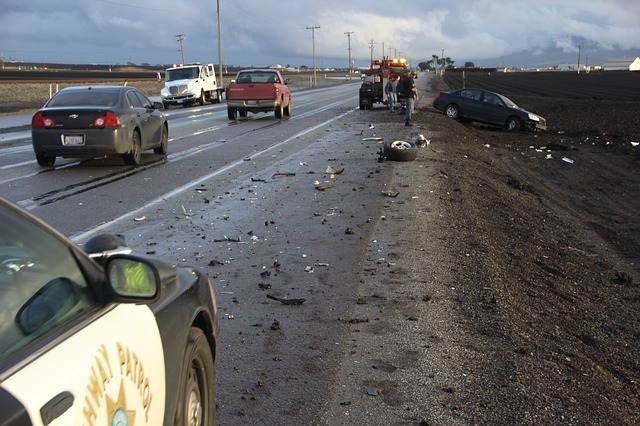 The best course of action is to seek out a personal injury lawyer who specializes in hit-and-run car accidents. Hiring a lawyer that has your best interests in mind can make the difference in how much or whether or not you receive compensation, as they will make sure that your insurer is making you a fair offer and that your policy is being followed fully.